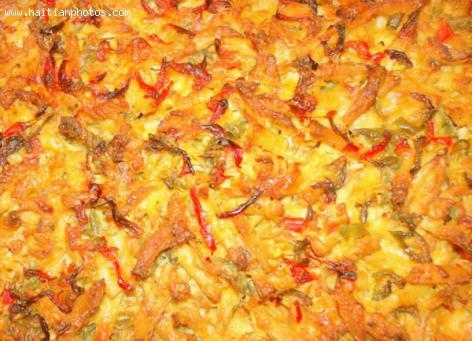 Haitian cooks make two versions of macaroni au gratin in their kitchens: quick-and-easy and gourmet style. 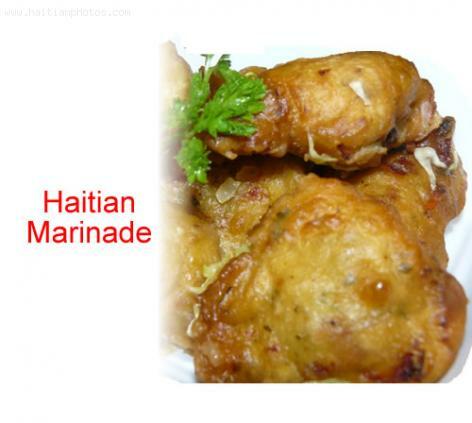 Haitian marinades are a spiced batter, deep-fried. Three types of marinades are made in Haiti: fish, chicken, and vegetarian. 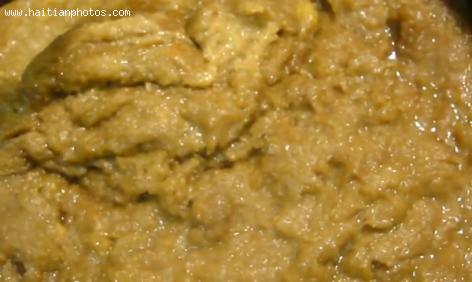 Combine all ingredients except oil, flour, and baking powder. Mix flour with baking powder in a separate bowl. Add flour/baking-powder mixture to rest of ingredients to make batter. 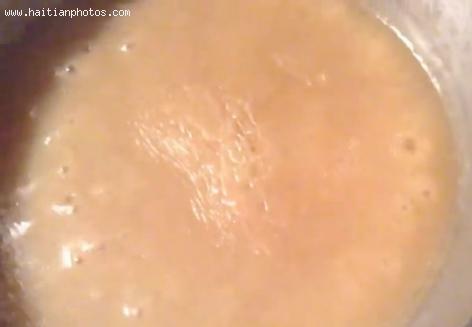 Spoon dollops of batter into hot oil, turning them until brown. 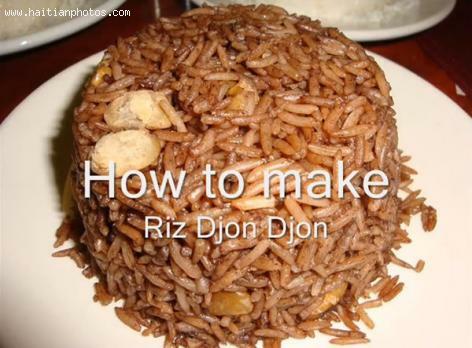 A wildly popular Haitian recipe, Diri Ak Djondjon is most popularly served at weddings, first communions and birthday parties as a side dish. This northern Haitian recipe, mostly commonly served with a main course, is a low maintenance dish that cooks up quickly, but gives off such wonderful, delicious aromas when cooking it is a definite favorite. The mushrooms, (Psathyrella coprinoceps) give off incredible color and flavor to the dish. 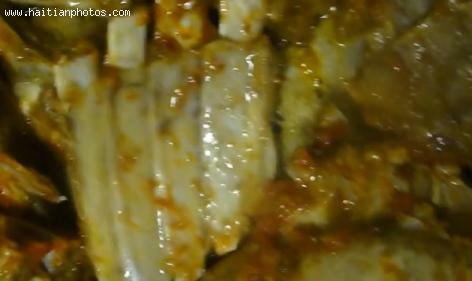 To optimize efficiency when preparing Diri Ak Djondjon, one may prepare all the ingredients you will need in advance. 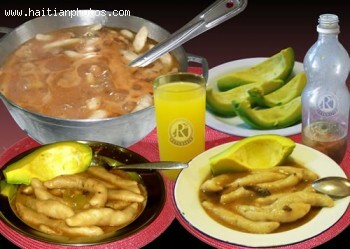 Not only is Soup Joumou, or squash soup a tasty Caribbean dish, it's a symbol of Haitian liberation. During the reign of the French, Haitians were forbidden the dish as it was considered too elevated for slaves. 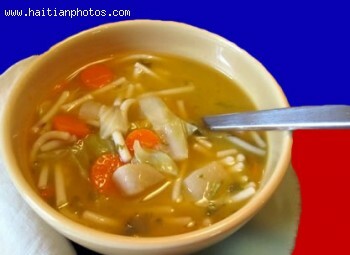 As a commemoration of Haitian freedom, since 1804, Haitians, who enjoy the soup at their leisure year-round, have Squash Soup on the 1st of January as a rule. One very popular dish found on many Haitian plates is Tassot de Cabrit (Fried Goat Meat Bits). This dish is usually paired with rice, fried plantains and veggies and gets its start with a good selection of goat meat, usually a goat's leg. The leaner and fresher the leg, though pricier, the better your end result. Though, frozen goat meat may also be used and any excess fat may be trimmed off during preparation. 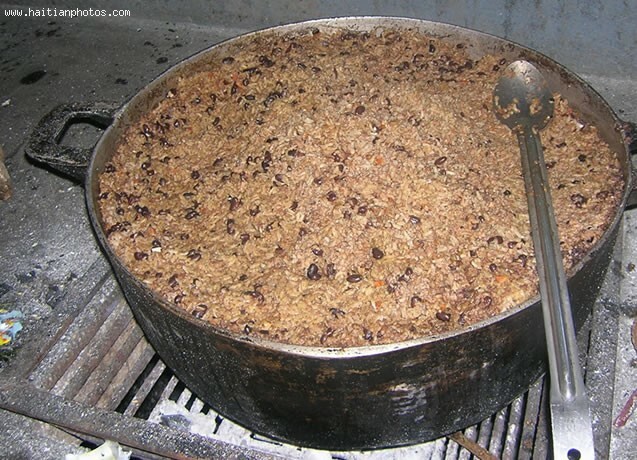 Diri Ak Pois Coles, or Rice and Red Beans is a traditional dish of the region, especially in Haiti. It is cooked with red kidney beans. A staple in chili dishes, the beans are popularly used in many parts of the world, including India, Mexico and in the United States. 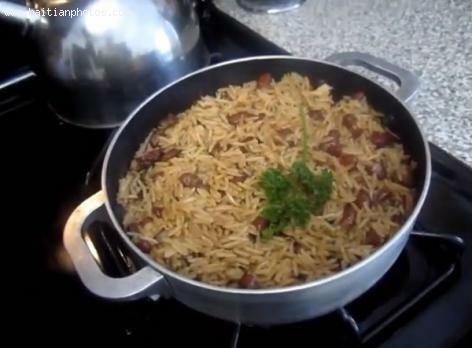 In Haiti, it is combined with rice and other ingredients to make a popular Sunday dinner dish.